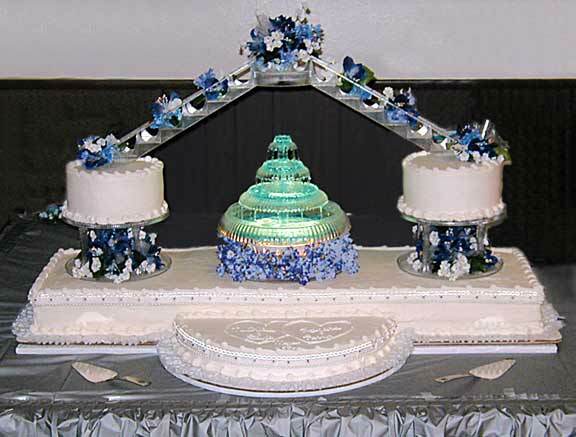 This cake is 42 inches long by 24 inches wide at its widest point. The main cake was vanilla and the two half rounds were chocolate. 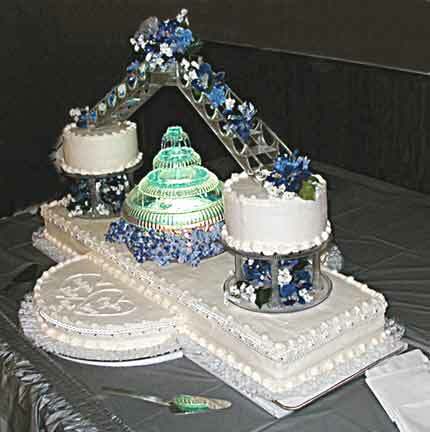 The two brides kept the two smaller cakes to celebrate their first year anniversary. There is a half round on each side of the main cake. Each one had double hearts with the names of the 2 Brides and 2 Grooms. 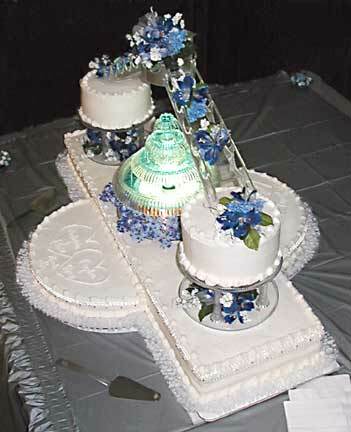 The fountain in the middle included blue water to make the cake sparkle! These are the flowers at the top of the staircase. 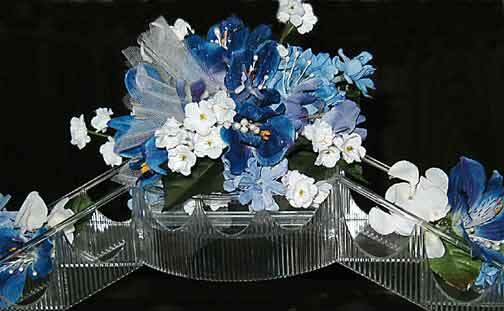 The arrangements were handmade to match the Brides theme.